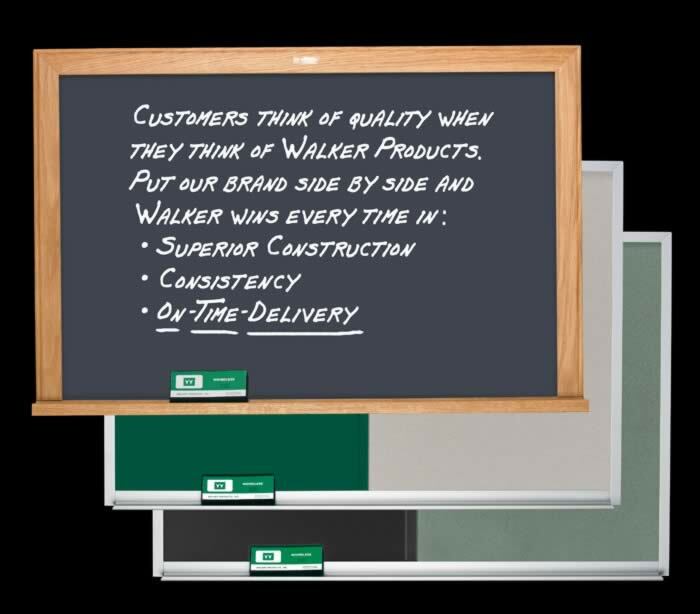 The Walker Headliner Series offers porcelain white-rite boards and porcelain enamel chalk, combo, bulletin and reversible boards. Standard frames come in heavy-duty satin anodized aluminum or white oak with oil finish. Wood frame options include red oak, satin or gloss maple with poly finish trim. Check out our online catalog.